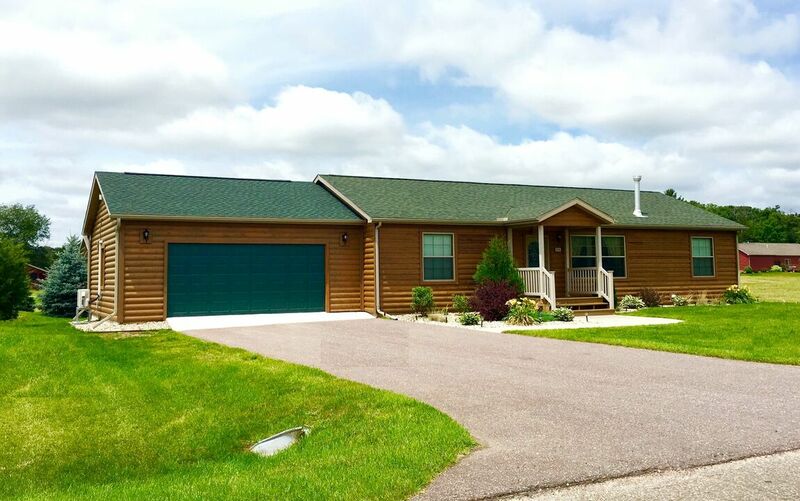 This cozy log sided three bedroom, two bath home is the Dells hideaway you've been looking for. Friends and family will enjoy the spacious deck with seating, charcoal grill and in-ground fire pit. The home’s natural setting is the perfect backdrop for the memories made here. The Copal on Lake Shore accommodates a maximum of 8 people. 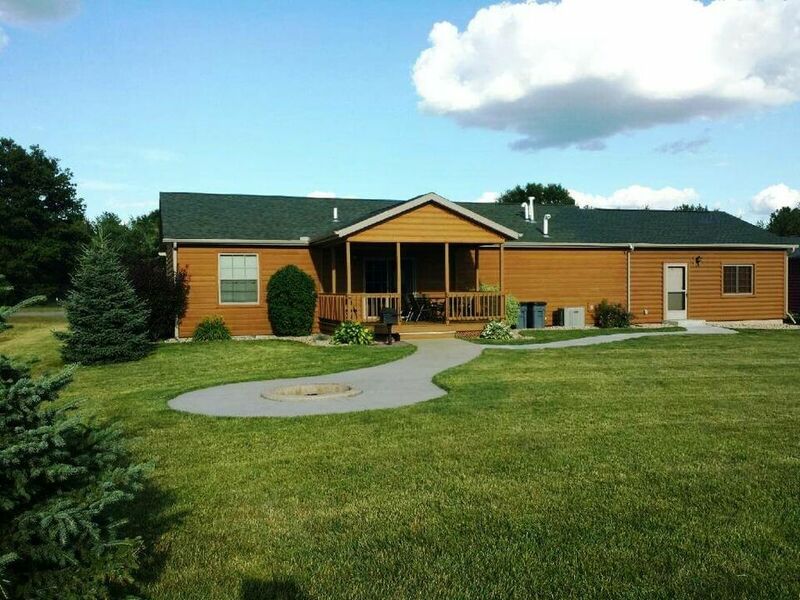 Indoors, the open floor plan makes this home an ideal place for family gatherings, group outings or a couples’ weekend all year round. The fully equipped kitchen is open to the dining room creating a great room which is ideal for entertaining family and friends. The living room and dining room feature a contemporary interior and open floor plan featuring a gas fireplace , TV, DVD/BluRay and a queen sofa sleeper. The master bedroom has a king size bed, flat screen TV/DVD and private bath with soaking tub. The two remaining bedrooms each have a queen size bed, flat screen TVs and DVDs. Towels and linens are provided for use in the home. WI-FI service is also provided. The recently added game room boasts a pool table, foosball, a BluRay player and two additional flat screens bringing the home’s total to 6 TVs. 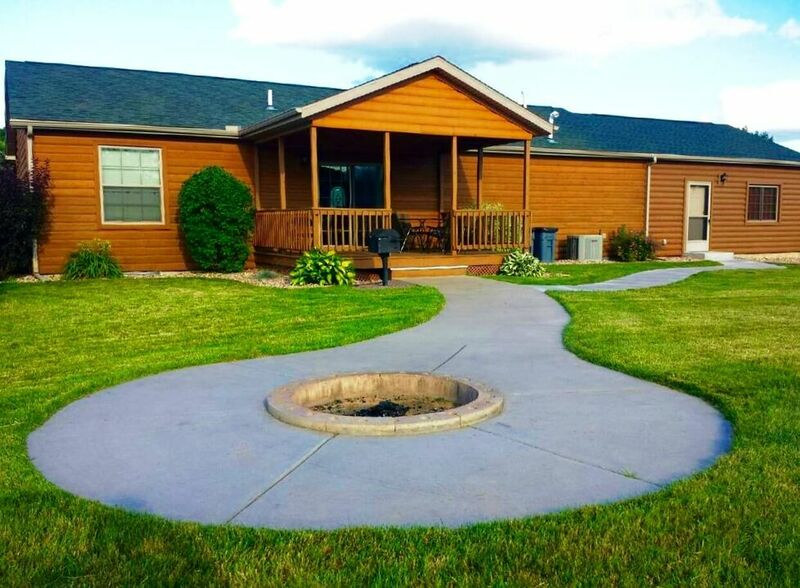 Book now to start enjoying everything the Dells has to offer from the comfort of your own “Up North” haven. The Copal on Lake Shore comes equipped with a washer and dryer for added convenience. Just a short walk from the Spring Brook clubhouse - where guests will enjoy free use of indoor/outdoor pools, hot tubs, and small fitness room - this ideal family getaway is in a prime location. Home sleeps maximum of 8, rates based on 6 people over the age of 3. Extra guest fee of $15/night per additional guest applies. Memorial Day and New Years Eve Holidays require $250 Security Deposit.